Be inspired by our contemporary colours to create interiors that exude warmth and character. 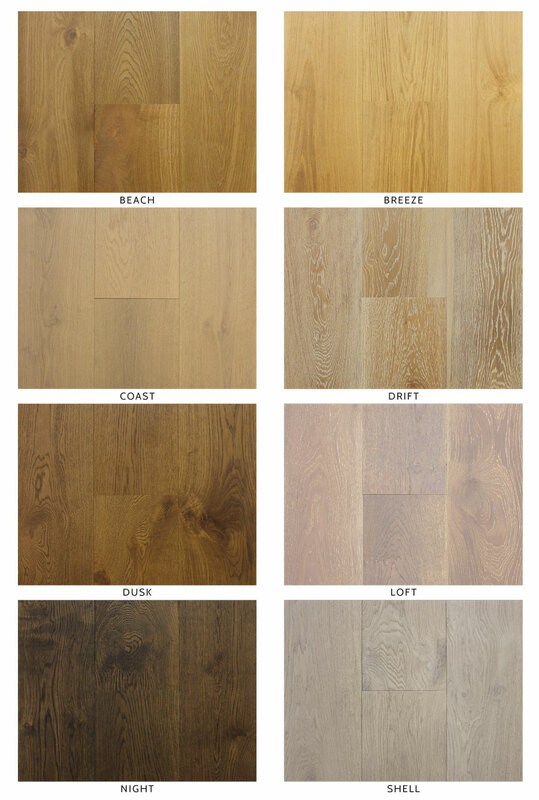 Selected from the finest European Oak, tailored to suit the modern Australian lifestyle. Click on the swatch colours below to be taken to the Oak products page. The Hermitage Inspire Oak collection features a palette of 8 classic colours from the dark rich hues of Night to the warm and natural splendour that is Beach. All surfaces are premium grade European oak, brushed and lacquered with world renowned Klumpp lacquer in a stunning ultra-matt finish. 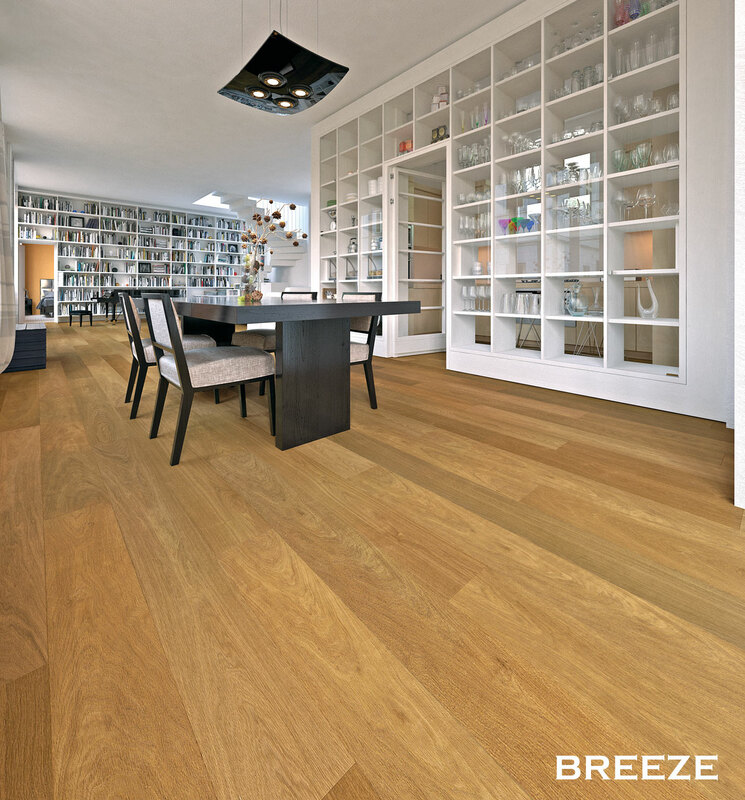 These striking planks are 190mm by 1900mm long, helping you create smooth, flowing interiors. Available in a 14mm thickness with a 3mm oak top layer and combined with an engineered core board that resists warping and cupping. 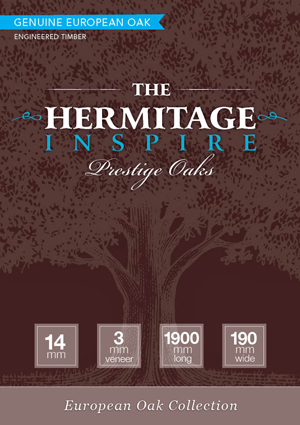 The Hermitage Inspire Oak flooring is designed for Australia’s harsh climate. Installation is a breeze with our click system. No longer do you need to use toxic glues to install your beautiful new floor. Simply roll out our approved underlay and install your new floor directly over the top. 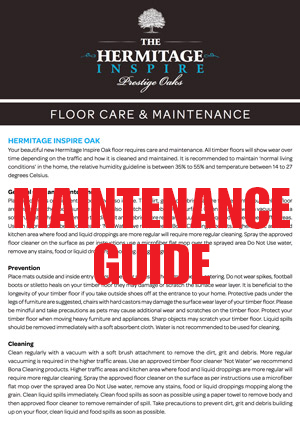 No nails, no adhesives and best of all, floors can be used immediately after installation. 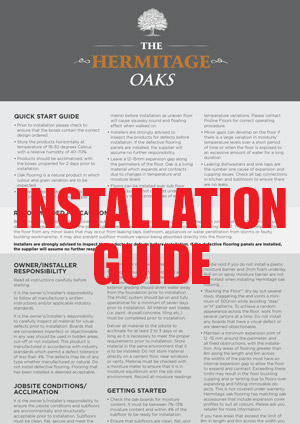 All Hermitage Inspire Oak floors are certified ‘green’ from our manufacturer, giving you peace of mind knowing that they are produced using sustainable forestry practices and are manufactured with the world’s best environmental procedures. 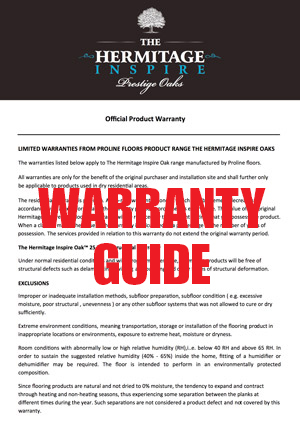 All Hermitage Inspire Oak flooring products are backed by a lifetime structural warranty and our industry leading 25 year domestic wear warranty. 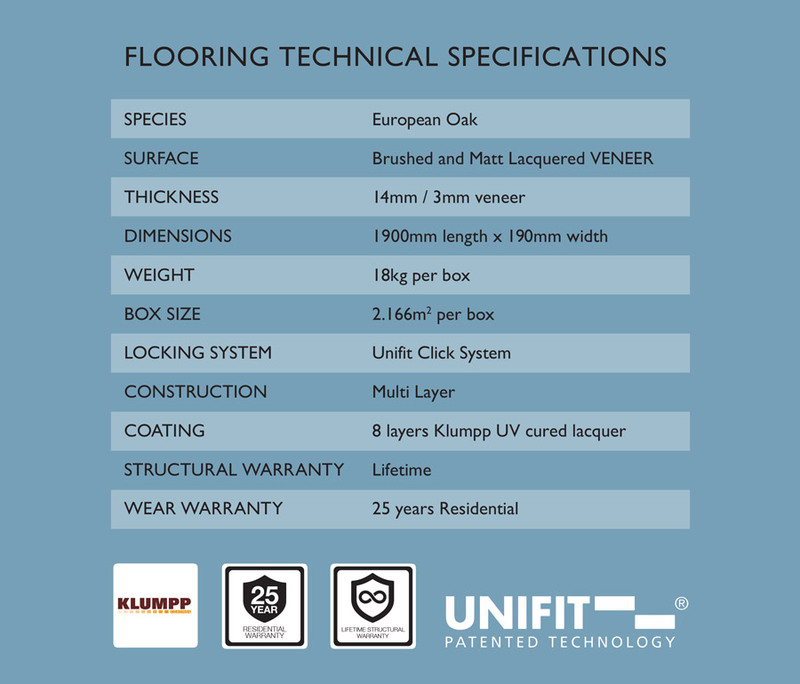 Engineered Timber Floor Variation Disclaimer!